The land of festivals with diverse traditions welcomes Diwali – the joyous Indian celebration. Diwali celebrates the win of good over evil. This national festival takes place on auspicious dates during the October/November months. Bright diyas, crackers, sweets, new clothes, rangolis make the occasion enjoyable replacing the darkness. Try something new to decorate your home for the special festival. Get ready to choose your favorite décor from the list to light up the season. The decorative art on the floor at the entrance reflects the tradition and brings home deities creating a divine status for the festival. The acrylic royal rangolis will be extremely beautiful to welcome everyone right at your doorstep. Can be used as both floor and wall décor to spread the festive mood. Decorating right from the front door brings hopefully the goddess of fortune to your home. 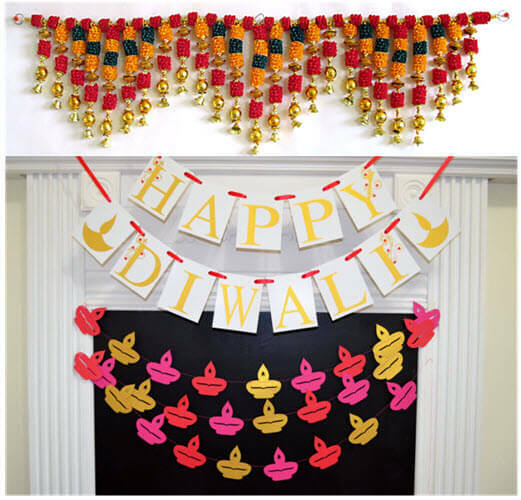 The colored Diya Diwali banner, golden bead satin ribbon flower toran fits perfectly into the archways of doors and at the entrance. 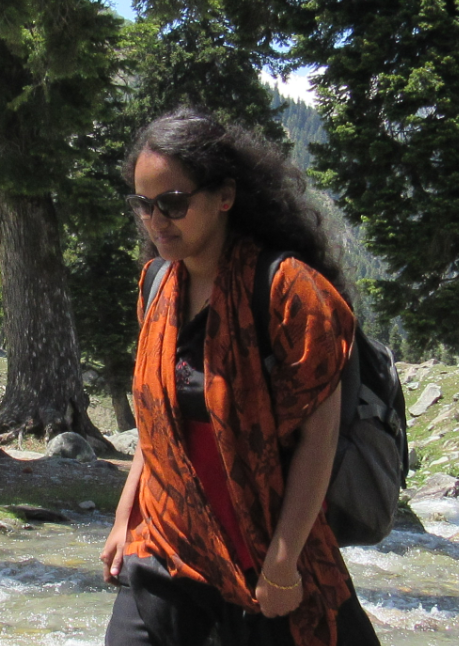 The traditional colors of the toran is visually appealing in its looks. Diyas play an important role for festival of lights. The baby Ganesh Diya, shell decorative diyas will adorn every corner of the house on the auspicious occasion. Deepawali means row of lamps, so spread the festive spirit with these sparkling lamps for the season. 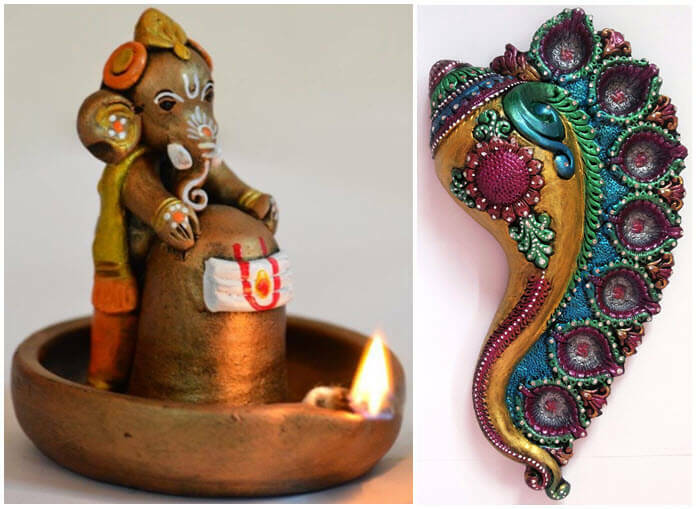 Apart from diyas, customized decorative lanterns are in hot trend for the festival. The decorative handmade lantern is an extraordinary centerpiece for the season. The traditional hanging lantern made form quality cotton with embroidered motifs and mirrors looks bright and very attractive. These electronic lamps have occupied the shelves in the market to color up your sweet home. Bring more colors to home this Diwali. These traditional cushion covers; Ganesa pillow is bold and beautiful to compliment the festive décor. Burst with peppy color linens, rugs and other furnishings to add an elegant look indoors. These captivating cushions will colorfully rule your home this season. Spread the festive joy even on the walls for the special occasion. The Diwali themed vinyl wall stickers are durable and is a perfect match for your home décor this festive season. These stickers will take your décor to the peak of ultimate beauty. Special gifts for your loved ones always stands first on the list for the festival. 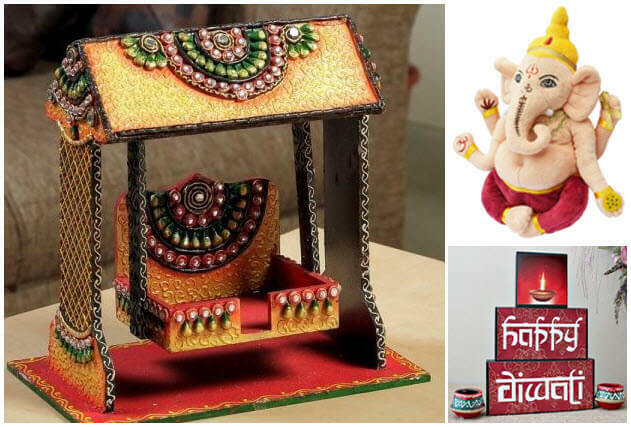 The plush ganesha, wood blocks, decorative rangoli swing will make Diwali colorful and full of life!! There are many more on the list to bring smile on your loved one’s face. Diwali is one of the colorful festival that bring happiness and long-lasting bright memories. It is the most important festival that is celebrated for generations together. Special season to exchange greetings and blessings from elders. Decorate your sweet home bright and beautiful to invite goddess Lakshmi home for the festive season. Unique home décor pics regarding the topic is always welcome. Magic Lantern Festival is coming to Birmingham – these stunning illuminations will rival Blackpool!